For more information, or to schedule an appointment with our Sacramento chiropractor, call (916) 443-2255 today! Dr. John Kosbau is a Palmer trained Chiropractor and chiropractic orthopedist serving Sacramento and the surrounding communities. In fact, many people drive many miles to receive care at his office. He and the entire staff at American Family Chiropractic are dedicated to providing quality care to their patients. Whether a person is experiencing back pain, neck pain, headaches, sports related injuries, automobile accident injuries or wants wellness care, Dr. Kosbau is experienced and qualified to address a person's individual needs. Visit the testimonial page to see what patients are saying about their experiences at American Family Chiropractic. During the first visits to American Family Chiropractic, Dr. John Kosbau will explain the science behind chiropractic care. He will provide a thorough examination to determine whether chiropractic care is right choice for the patient. If it is, a plan of care is recommended that is specific to the health needs and goals of each patient. Whether a person is a first time chiropractic patient, or someone returning for care, the experienced staff can answer any questions, feel free to email or call (916) 443-2255 for answers. It may be one of the best calls that a person can make. If you are already a patient at Dr. Kosbau's office, he also welcomes referrals, so use the "Send to a Friend" link located at the bottom of page to share this health information with someone that needs care.. If someone would like to stay informed about modern, effective chiropractic care, or if he or she wants to start receiving helpful free articles about health and wellness news, please subscribe to his bi-weekly newsletter, even if you are not yet a patient. Dr. Kosbau wants everyone to know about chiropractic care. Once someone subscribes, they are able to explore the member wellness section and take advantage of our animated exercise videos, wellness articles, and other resources. "I had lower back pain that radiated down my left leg to my foot, and I could not stand for very long. 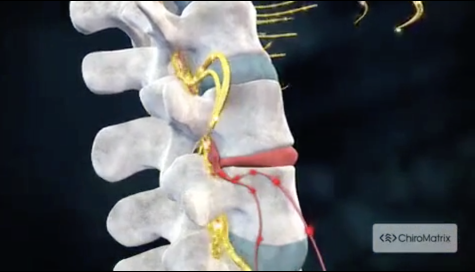 After treating with Dr. Kosbau, my back feels better than it has ever felt in my adult life." "I had stiffness in my lower back, it was very hard to get up and sit down, and being in one position was very painful. I could not move my neck sideways, and I was having a lot of headaches. After starting treatment with Dr. Kosbau, my condition improved so much and so quickly that I can do everything and anything so easily without pain or discomfort." "I suffered from severe headaches for 15 years. Every one was just a little worse then the one before. The last 6 of those years, I lived everyday of my life with a headache of one degree or another. I have not had another bad headache since the first adjustment." "After a fall skiing, I could barely walk and had a tearing sensation in my lower back. Within two days after starting treatment with Dr. Kosbau I was walking normally." "I had tendinitis in my right shoulder, which caused severe pain and numbness and limited motion in my lower arm. After starting treatment with Dr. Kosbau, my shoulder area is completely healed. My spine is straighter and a leg that has always been shorter is now almost the same length as the other." "My back slipped out during spring planting, and I could hardly move. Dr. Kosbau examined me and started a treatment program. I'm feeling back to normal. What a great feeling to be able to continue normal activities without pain." "I had lower back and arm pain for 5 years. After only 4 treatments, I really felt so much better, like a new woman. I can walk without pain." "I had extreme pain in my neck,and back, I could hardly sit, stand or breath, and I suffered with headaches and muscle spasms. Since starting treatment, I am able to sit without my back getting tired for long periods of time. I am also able to enjoy sports with my kids without hurting. Dr. John is an extremely thorough and careful doctor. He is very concerned about his patients and treats them like family."